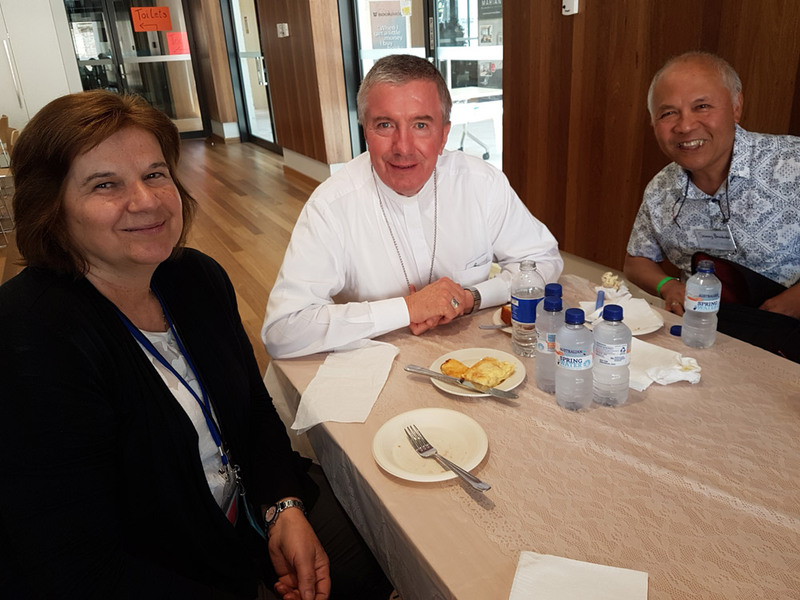 Archbishop Christopher Prowse (centre) with Neda Kesina and Sam Benedictos from the El Shaddai community at last year’s Day of Teaching. 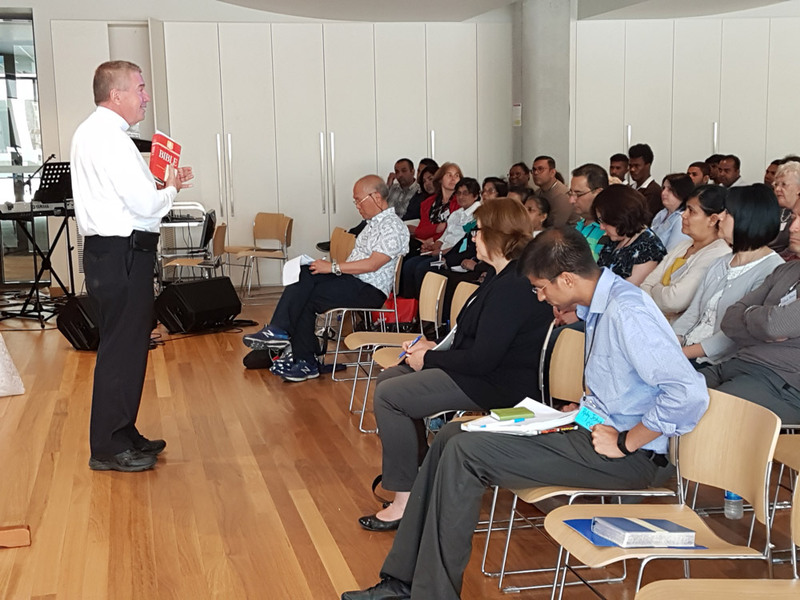 Archbishop Christopher Prowse has urged all members of the Charismatic Renewal to attend this year’s Teaching Day. “It is vital that I meet with all leaders of the prayer groups and communities on this day. I am waiting for you!” the Archbishop said. The annual Teaching Days were an initiative by the Archbishop for all people involved in the Renewal. Susanna Taylor, a member of the local CCR Service Committee, described the days as being both enjoyable and inspirational. “It’s always a wonderful day and we encourage anyone who would like to come to enjoy it with us – everyone is welcome!” she said. 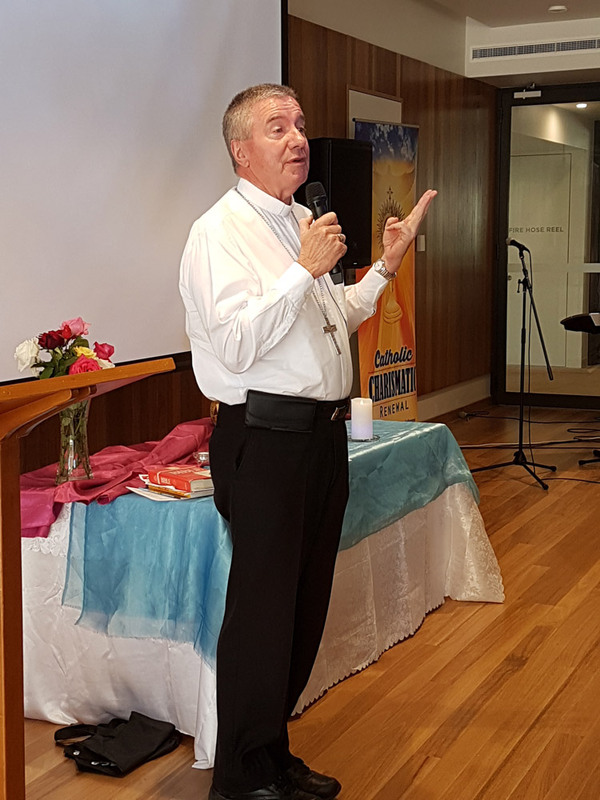 This year’s theme is `Call to Holiness: How to be holy in today’s world.’ The Archbishop will give two talks in the morning, with well-known local priest Fr Ken Barker MGL giving a talk after lunch. There will also be praise and worship, testimonies and a Show and Tell where all the different groups and communities present briefly about themselves and their activities. “All of the different communities and groups from the Archdiocese that are involved in the Renewal come together on this day… it’s great to welcome people from country areas and coastal areas too … so it’s a big day with generally around 100 to 150 people,” Susanna added. 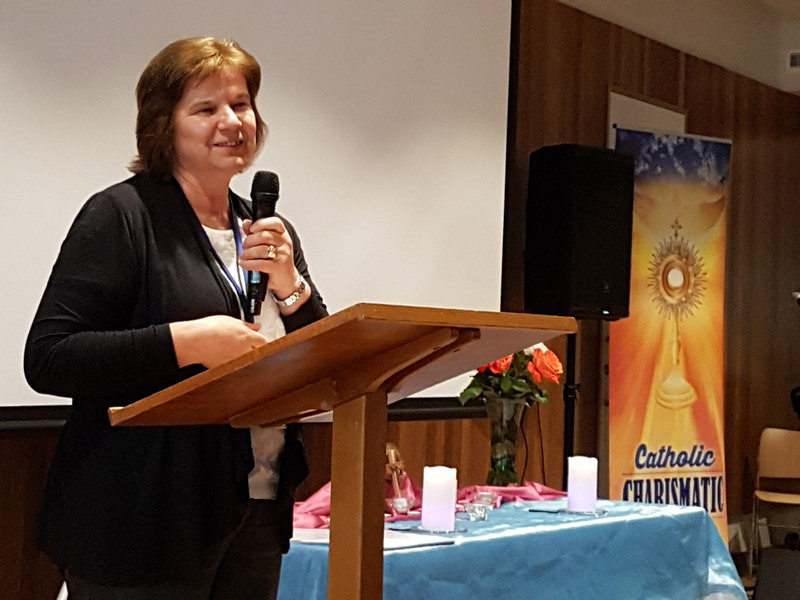 Neda Kesina, the Chairperson of the CCR Service Committee in this Archdiocese, explained that at present there are around nine groups – four prayer groups and five communities – involved in the Renewal in Canberra. A national CCR meeting is held in Australia each year with representatives from every state and territory. Neda represents the ACT at these meetings. Internationally, the governing body for the Renewal is the International Catholic Charismatic Renewal Services (ICCRS), based at the Vatican. At the Golden Jubilee of the Renewal last year, Pope Francis announced the creation of a new Charismatic body called CHARIS. Both ICCRS and the Fraternal Covenant Communities will join together as CHARIS from Pentecost 2019. “This is something we are already working towards here in Canberra,” Neda said. 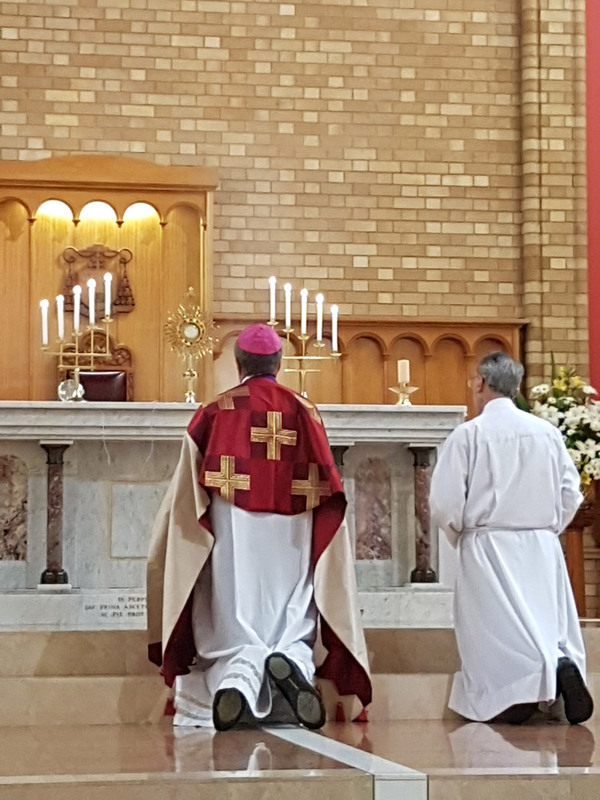 The Archbishop’s Teaching Day “Call to Holiness” will be held at Haydon Hall, St Christopher’s Pastoral Centre, Manuka on Saturday November 3 from 9am – 4.30pm. Entry is free, with a sausage sizzle lunch for $5. A collection will be taken for the work of the Renewal. The event is organised by the Catholic Charismatic Renewal Canberra-Goulburn. To register please contact Neda (0415 266 019), Susanna (0419 902 293) or Maida (0423 658 326).